Hello again, TI-89, my old friend. I’ve recently rediscovered my Texas Instruments TI-89 Titanium. It was sitting idle at the bottom of a box amongst a pile of old textbooks from college. The TI-89 Titanium had a very extensive menu system and was certainly not for the faint of heart, but a mastery of the menus brought a level of math power into your hands that allowed you not only to plot and graph math functions, but could be used to resolve differential equations. It took a moment reacquaint–I had used it so much in school that I used to have full muscle memory navigating and computing some of the features. They still sell the TI-89, which speaks volumes about making a good product with some good-standing longevity. The education market definitely has unique needs. 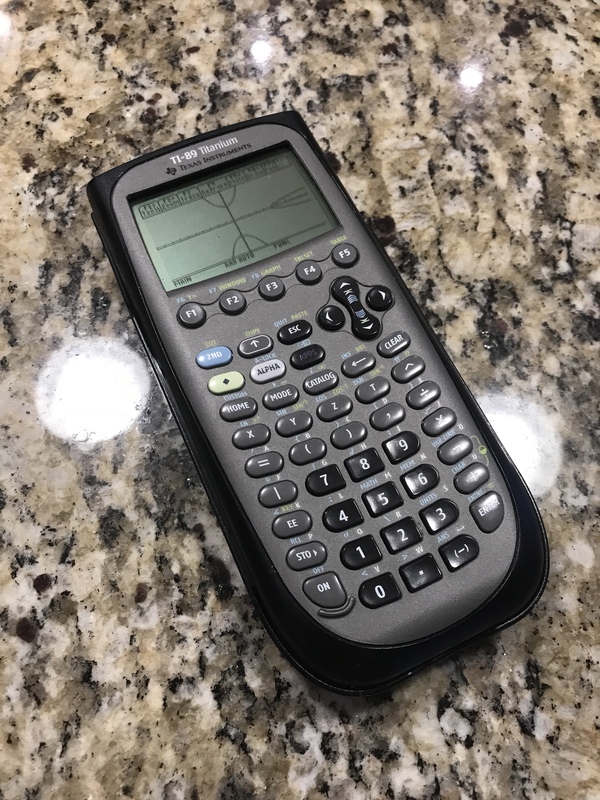 Of course, now there are newer models with color screens and fancier interfaces and there are now apps that let you do graphing functions and basic calculator operations, but of course for students you can’t get out your phone in a closed test. I used this calculator on pretty much every engineering problem set and test (if allowed) that any sort of calculation. It got me through both an undergrad and graduate career at Stanford and then followed me to a research lab within Intel Labs. Since moving to software and then product management, I haven’t used it for quite some time and perhaps I won’t need to, nonetheless thank you, old friend.